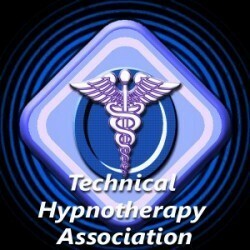 ​Below is an outline of the terms and conditions which apply to this website and the provision of hypnotherapy. ​Intake sessions are typically 90 minutes. All other sessions are approximately 60 minutes in length. ​Session Fees range from $140-$395 per session. Rates are outline on our rates page here. In the case of quit smoking sessions, the session lasts between ​90-120 minutes. If you require a second session within 2 weeks of your quit smoking session, and have carried out the suggested activities to assist in your quitting smoking, there is no charge - however further sessions are charged at our current single-session rate. Standard 48 hours notice of change to appointment time. *50% fee if less than 48 hours notice. *100% fee if cancelled/rescheduled with less than 24 hours notice. Having said that we recognize that challenging situations sometimes occur in life and our priority is always to treat people fairly. In the case of last minute rearranging please contact your therapist as soon as you can. Hypnotherapy is a joint exercise between therapist and client. As such the effort required is equal on both parts. We commit to providing services to the best of our ability, and far above the industry standard. Our intent is always to exceed the standards of fairness that are generally considered acceptable. ​During the course of any therapy sessions, our therapists will treat you with respect and not abuse the trust that you put in us. In return, you undertake not to harm yourself, or any other person, including our therapists, or any property belonging to either us or any other person. You agree not to come to sessions under the influence of alcohol or recreational drugs, except those medications prescribed by your doctor. If you do come to sessions under the influence of alcohol or recreational drugs or demonstrate violent/abusive behaviour, we reserve the right to cancel the session at full cost and refuse any further therapy sessions. ​This website is provided for information only and is not intended to replace a consultation with your GP or other healthcare professional. The information on this website should not be considered as medical advice. If you have any doubts or concerns about your health, you should seek advice from a medical doctor. ​​Testimonials appearing on this website are received in various forms via a variety of submission methods. The testimonials reflect the real life experiences of individuals who used our products and/or services. However, individual results may vary. We do not claim, nor should the reader assume, that any individual experience recounted is typical or representative of what any other c​lient might experience. Testimonials are not necessarily representative of what anyone else using our products and/or services may experience. The testimonials displayed are given verbatim except for grammatical or typing error corrections. Some testimonials may have been edited for clarity, or shortened in cases where the original testimonial included extraneous information of no relevance to the general public. ​Vancouver Hypnotherapy is not responsible for the opinions or comments posted on this website, and does not necessarily share the opinions, views or commentary of postings on this website. All opinions expressed are strictly the views of the poster or reviewer. All testimonials are reviewed for authenticity before they are posted for public viewing. Testimonials on this website are not intended, nor should they be construed, as claims that the products or services mentioned can be used to diagnose, treat, cure, mitigate or prevent any disease. To the contrary, our products are not intended to diagnose, treat, cure, or prevent any disease. No testimonial has been clinically proven or evaluated, and no medical claims whatsoever were made and no statements on this website have been evaluated by the ​Department of Health Canada.